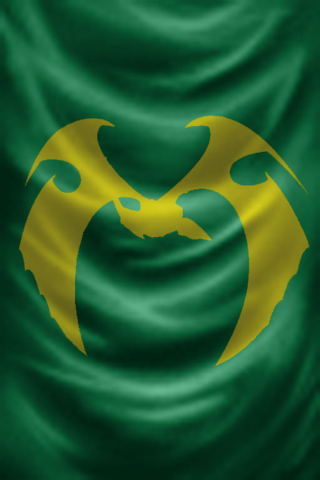 Elven Imperial Navy Flag by John “Paladine” Baxter. Used by permission. The Elven Imperial Fleet is a vast, organized navy with ships and bases in most of the spheres of the Known Spheres. It is the largest known wildspace navy, with more ships and personnel than any other nation. Its enemies paint it as a force of oppression and elven haughtiness. While individuals within the Fleet may fall into this role, as a whole, the Fleet polices trade routes and keeps them clear of pirates, marauders, and monsters. In the past they have put down dangerous threats to trade, such as the goblin-kin. They often render aid to castaways and the shipwrecked, returning them to safe harbor for no fee or charge. The Elven Fleet’s primary purpose is defense and communication. It protects the multitude of Elven Nations against threats from wildspace. This includes policing major trade routes between elven nations against pirates and marauders. At the same time, it acts as an intermediary between elven nations on different worlds. The Fleet maintains ambassadors in the courts of major elven kingdoms and nations to communicate the wishes of the Admirals to the sovereigns. Likewise, ambassadors from the elven nations invited to Lionheart to communicate the wishes of their sovereigns to the Admirals. In this way, the Fleet facilitates negotiations between elven nations in matters of trade, mutual defense, migrations, and even arranged political marriages. The Fleet is subject to the Elven Nations. In theory the Elven Fleet is part of those nations’ navy. In practice, the Fleet keeps a hands-off approach to involvement in the politics of individual nations. It does provide aerial support when a nation is threatened, such as during the Weeping Wars on Toril, but this is unreliable. The Fleet lacks the resources to be involved in every war vexing groundling nations, so it must carefully choose the wars it involves itself with. A final, minor mission of the Elven Fleet is to limit wildspace contact with groundling, non-elven societies. Largely this simply means enforcing a policy of not allowing their ships to land outside of elven nations. Rarely, agents of the Fleet will engage in campaigns of sabotage to destroy or steal spelljammer-related items and devices. This latter option is only used in extreme circumstances, such as to keep a magically advanced and very evil kingdom from extending its reach into wildspace. The city-like castle of Lionheart is the headquarters of the Elven Fleet. It has the overall appearance of a ring of armadas, pulled together into a great ring. It is in fact a fully grown Mother Tree, shaped into its current form by means of elven high magic. The city is moved from time to time to ensure its security. The Sindiath Line is counted as the Elven Fleet’s strongest ally, although in some ways it is merely an extension of the Elven Fleet rather than a separate organization. In theory, an admiral could commandeer any ship of the Line, although this has rarely happened and only in times of great peril. Both the Company of the Chalice and the Pragmatic Order of Thought are considered allies by the elves, for different reasons. Chalice ships often work with the elves to root out pirates and protect trade routes. The elves have even allowed the Chalice to have an ambassador on Lionheart to further good relations. For their part, the Chalice is in awe of the might of the elves. The POTS are likewise useful to the elves as a counterweight to slavers in the Known Spheres. The Fleet abhors slavery as a principle, but lacks the resources to stamp it out. The POTS are frustrated that the elves do not do more, but understand the elves’ limitations. Like the Chalice, the elves have invited an ambassador to Lionheart. Finally, the Elven Fleet maintains good relations with a number of dwarven kingdoms scattered throughout the spheres. In particular, they are strong allies with the Starcastle League. The Starcastle League is an alliance of a dozen or so clans, mostly located in Darnannon. The Starcastles have adopted a number of stout halfling and rock gnome families into their ranks as well. The Fleet has commissioned the Starcastles to build the stone citadels that grace many Armada flagships. Starcastles workers can also be found wherever the elves need work done on stone fortifications. Starcastles take great pride in their work for the elves. The Elven Fleet has, over the countless centuries of its existence, gained a number of enemies. They range from simple pirates who have robbed an elven ship to the hordes of the goblin-kin. The most immediate and dangerous enemy of the Elven Fleet as it stands today is the Scro its horde of kobold, goblin-kin, orc, and ogre battle-thralls. The scro have managed to destroy a number of elven colonies and killed many thousands of elves in their campaign of revenge. Their greatest achievement was to advance as far as Bralspace and conquer the elf world of Spiral. The scro suffered a number of setbacks since then and have been forced into a tense truce with the Fleet. The scro are scouring the Known Spheres, looking for new goblin-kin allies to fill their depleted ranks, while the elves do likewise. Almost everyone expects war to resume as soon as one side gains a significant advantage over the other. Prior to the appearance of the scro, the blatant piracy and slavery of the neogi earned them much elven wrath. Debate had already begun on how to deal with the spidery monsters, with many admirals advocating a new Unhuman War to drive them from the stars. Pirates of all sorts are counted as enemies of the Elven Fleet. As a primary mission of the Fleet is to protect trade routes used by elven merchants, they often clash with pirates seeking to plunder elven treasures. The Pirates of Gith are particularly notorious for preying on elven ships, for they need such vessels to slip the bonds of space and enter the Astral Plane. They have clashed time and again through the centuries. The elves have never quite been able to stamp out the Pirates of Gith completely, no matter how long they hunt. Beyond these enemies, there are many other threats to the elves. One such looming threat is the rumored Ogres of Steel Space. Supposedly a powerful ogre kingdom lurks in a sphere with a sun that emits gray light. The Admirals might laugh off such rumors if not for who reported them, the much-respected Khelben “Blackstaff” Aransun of Waterdeep, who reported seeing a massive fleet of Mammoth-ships preparing for war. Admiral Icarus of Realmspace, worries that the elves will not have the strength to fight such a foe, as they are already weakened by years of war with the scro.